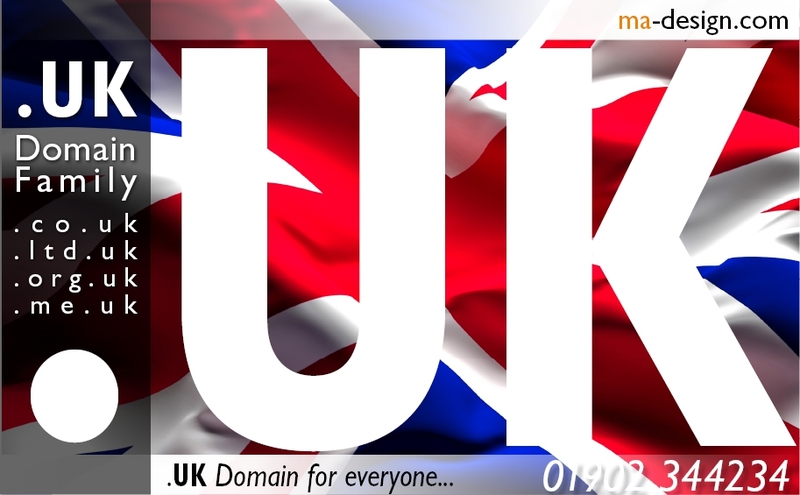 ma-design.com has been registering and managing clients Domain Names since 1997. Providing a Professional Service; from the purchase of individual Domain Names, through to a complete Domain Management of a company&apos;s portfolio of Domain Names. 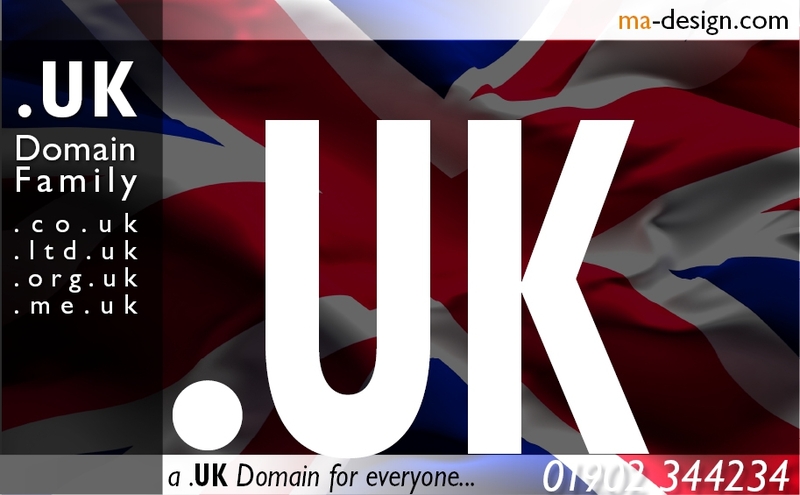 As a Nominet accredited Registration Agent We can ensure you get the .UK Domain you deserve. To get your specific Domain Name phone us firstly to ensure the domain&apos;s availability. Abstract: ma-design | Design specialists who will enhance awarness to your company marketing communications., Based in Penn, Wolverhampton, West Midlands, UK. With over 32-years of marketing excellence. Our commitement to providing a focused Design Management service for our clients is backed by our 32 years working within a wide range of industries and market sectors, including: Pneumatics, Property Management, and Food Processing. As being involved with both web design and hosting since 1996, we specialise in providing Web Site and Data Hosting solutions to meet exacting business needs for both access and security, from: Data Hosting, Web Site management, to Server Management. We are so keen to keep abreast of both new technology and marketing processes that can benefit both the packaging industry and end-users directly. In view of this we strongly believe in collaborating and sharing information with other members of key Industrial Associations within the Electronics, Electrical Engineering, Automation and Control, Electro-Mechanical Engineering, and Public Relations industrial sectors. We aim to please our customers doing our best to provide you with a quality experience, whether you are looking for; Web Hosting Services, or want Signage Systems services. We will always be pleased to talk with you about Social Media Designer, Vehicle Liveries, or Print Management needs.